The great thing about the holiday season -- besides the gifts! -- is having the chance to spend valuable time with our loved ones, show our appreciation for one another and overall, give thanks. Holiday traditions are important in every family, regardless of religion or how you choose to observe the holiday season. They provide meaningful and cherished lifelong memories and more so, an opportunity to spend quality time together. Family traditions can be as simple as you make them; they can be a Christmas Eve family game night by the fire, preparing a holiday meal as a family, saying grace or even a Sunday spent together helping others at the neighborhood food bank or soup kitchen. Below we've included some of our absolute favorite ideas and fun activities for spending the holiday season together as a family. We hope that this year's holidays brings your family much joy, love and overall plenty of fantastic shared meals and treasured gifts! Looking to volunteer this holiday season as family? Super! Visit our extensive online directory for tons of volunteer opportunities near you. It might be chilly outside, but we promise you'll feel great jogging or walking off those extra holiday calories at Seattle's fourth annual Turkey Trot this year. Perfect for the entire family (and strollers! 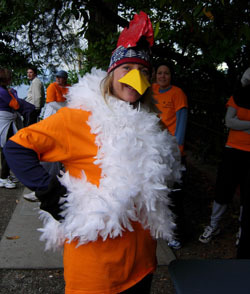 ), the Turkey Trot is a 5K jog, walk or run that takes place above Golden Gardens in Ballard. And besides the fact that you'll have a great time getting moving with your loved ones before your big Thanksgiving meal, proceeds from the Turkey Trot will go to benefit the Ballard Food Bank, which helps over 1,000 nearby families with basic needs each week. Dressing up as an actual turkey is optional! Check out our calendar for more details. According to an old Norwegian holiday legend regarding the birth of Jesus Christ, God had granted the animals in the manager a voice to give their praise for the child's miracle birth. Many families put their own spin on this popular legend each Christmas Eve by leaving treats out for the neighborhood wildlife, pets and all of their favorite animal friends to give thanks during a time when food is scarce. This can be as simple as filling up the bird feeder, setting out a salt lick or leaving peanut butter bread on the porch for the squirrels. Some families even hike into the woods to decorate a special tree with edible treats! This can include pine cones rolled in peanut butter, cranberry or popcorn garlands and more. Also be sure not to miss our recipe for making homemade dog treats as Christmas gifts -- the neighborhood dogs will thank you later! Catch up on your holiday classics each night with the family until Santa finally makes his annual journey down the chimney. 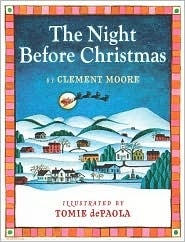 Take a trip to the library and gather up all of your Christmas favorites or save these timeless tales in a special place, specifically for the holiday season. We can already see you cozying up as a family to read How the Grinch Stole Christmas!, the popular tween/teen novel The Best Christmas Pageant Ever or of last but not least, The Night Before Christmas. If your children are just learning how to read, let them kick-off your Christmas family read-a-thon, but make sure that everyone has a turn throughout the month to pick the book of their choice and a chance to read aloud! Looking for new holiday family favorite reads? Check out our editor's picks for fantastic holiday reads. There are many different ways that you and your family can give back this holiday season. 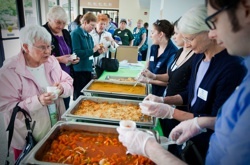 Seattle's Northwest Harvest offers year-round opportunities for all ages and United Way of King County has an extensive list of family- and group-friendly volunteer opportunities in our area. But volunteering during the holidays doesn't have to solely mean helping out in a soup kitchen -- your family can donate toys or gently used clothing, help package and organize food in a local food bank, buy Christmas presents for needy children and much, much more. In the midst of the darker winter days and the added stress and craziness from the holiday season, observing the winter solstice (December 22) -- the shortest day and longest night of the year -- can provide a much-needed moment to slow down and celebrate the light in our lives. 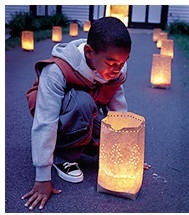 Plan a family candle-lit dinner, stargaze in the backyard or create your own luminarias (or farolitos) to line your porch, sidewalks or front steps with their lovely glowing light. These decorative paper bags are traditionally filled with sand and a small candle. But if you're looking to get super creative, The Crafty Crow offers up some great ideas for beautiful DIY solstice lanterns. We would also highly recommend checking out GardenMama's great tutorial for making gorgeous water-colored homemade lanterns. Want more Solstice fun suggestions? Check out our past article on celebrating winter solstice for more ideas, book suggestions and events happening within the community that honor this shortest day and longest night of the year. Reader Susan Colombo was kind enough to share a couple of her own family holiday traditions with us and we couldn't help but share! Susan says that her family loves drinking egg nog and listening to Christmas music while they trim their tree each year. Mental_Floss Blog includes some awesome facts about this delicious holiday drink and links to a great New York Times article with three different homemade egg nog recipes -- one from 1958 and two from 2007. Oh, how the times change, yet stay exactly the same! Susan also includes that her family makes a "present pie" each year for Christmas Eve dinner. "There is one present per person (small in size) with a ribbon or string tied to it," Susan writes, "The presents are stacked up in the middle of the table with a string going to each place setting. After dinner you get to pull on your string and get the present at the end of the string. Fun way to 'tied' kids over until Christmas morning when we got to open the rest of our presents. My husband and I have continued the tradition and now that we have a child we look forward to doing it with her, too." 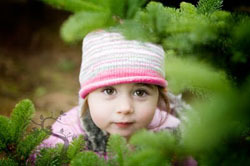 One Tree Photography includes some beautiful photos of their family trip last year to find a Christmas tree at Highlead Plantation in Arlington. Whether you stop at a local lot in the city, travel to a U-pick farm out of town, or go with a replantable tree from the backyard, picking out the perfect Christmas tree has long been a popular family tradition. It's a great way to spend the day outside and bundled up with your family, a GREAT excuse to drink an extra cup of hot chocolate and not to mention the very best part... The Christmas tree decorating party that awaits you once you get home! 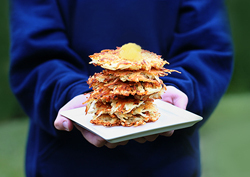 Latkes, traditionally eaten during Hanukkah, are a great meal that the whole family can help in preparing. Some families are even taking it a step further by having Hanukkah "latke Top Chef" parties, where guests are asked to make the traditional latkes with an added mystery ingredient. Carrot latkes, anyone? Banana? Zucchini? The options are endless -- and hopefully just as tasty! The cooking blog 5 Second Rule includes a great recipe for homemade latkes (as shown on the left). If you're looking for more traditions based around delicious meals, check out our past article on meaningful meal traditions! 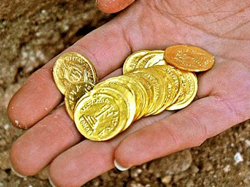 Yiddish for "money," gelt are small chocolate coins that are a popular hit with children during the Hanukkah festivities. Parents will get a kick out of hiding gelt throughout the house and watching their little ones scramble to find the most coins. Some families give out prizes to the children who find the most gelt and others ask simply that the winning children offer up some of their booty for the family tzedakah (charity) box. 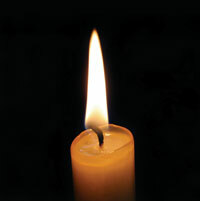 This is also a great opportunity for parents to share the story of Hanukkah with their tots. Check out Clever Toddler Activities for further information; they also include tips for playing family Hanukkah bingo! Many families have a holiday tradition of visiting streets or neighborhoods that are known for their Christmas lights, but Warm Beach's The Lights of Christmas really takes this idea to a whole new festive level. 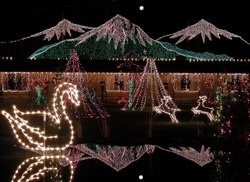 Featuring over one million Christmas lights, the Stanwood grounds are open each weekend in December for families to take a de-lightful stroll through the light displays, listen to Victorian carolers and enjoy a variety of holiday treats and warm drinks. Overnight stays, holiday theatre shows and volunteer opportunities are also available. One of our favorite holiday traditions is actually one that we saw being practiced in a friend's home while we were visiting for the holidays. Each Christmas our friend's mother writes down the big family moments that have happened throughout the year and reads them aloud after the family has finished opening their gifts. 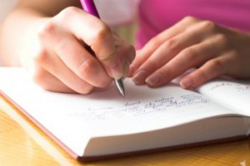 Now as adults, our friend and his siblings can go back and read these annual thoughtful journal entries and reminisce over all of the great family moments that they may not have remembered right away. And since the journal begins from the time that they were infants, they have plenty of treasured moments to recall each year! Nothing is more significant to Hanukkah than the lighting of the menorah each year during the festivities. 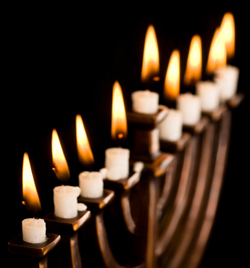 Typically a nine-branched candelabrum, the menorah is lit each day, for eight days, to remember the miracle of the Maccabees' victory and that of the oil that was burned in the holy temple for eight days. Older children can help light the menorah each night and your little ones will love creating their own menorah to "light" through arts & crafts projects. A family tree -- literally! We absolutely love this idea for a "family tree" thanks to Better Homes and Garden. (We also love that the tree shown is potted and can be replanted after the season!) 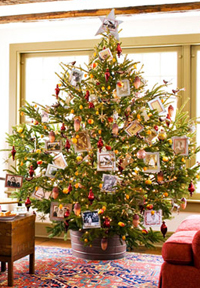 To transform this year's Christmas tree into your own family scrapbook, BHG recommends photocopying pictures and framing them with homemade trims such as rickrack. Pull out the photo album and get everyone involved! Each family can pick out their favorite family photos to glam up with some thoughtful frames and hang from this year's family tree. And once Christmas day has come and gone, you can include the photocopied family photos in an actual scrapbook to look back through the following year. Check here for many more unique and decorative Christmas tree ideas that will definitely make this year's tree stand out amongst the rest. 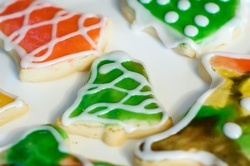 We love The Pioneer Woman's fantastic pictorial on how to make her favorite Christmas cookies. Like us, we're sure that your mouth will be watering once you're finished reading through this recipe, considering the photos! ParentMap's own Elisa Taylor says, "In my family we've been making the same recipe for roll-out sugar cookies since the 60s. I didn't realize how special they were to me until my mom misplaced the recipe card and it was lost for several years. I tried other recipes and none of them were 'right.' then the recipe card was found and there was much rejoicing! now I've got the recipe stored in several places to be sure that never happens again." And yes, it's true -- nobody can turn down the perfect sugary Christmas cookie with all of its colorful-frosting deliciousness! If there's one thing we love most about the holidays, it definitely has to be making Christmas cookies with the kids and decorating them to perfection. Diets don't start again until after New Years... right?